The new Attack Helicopter joining the Army Aviation. 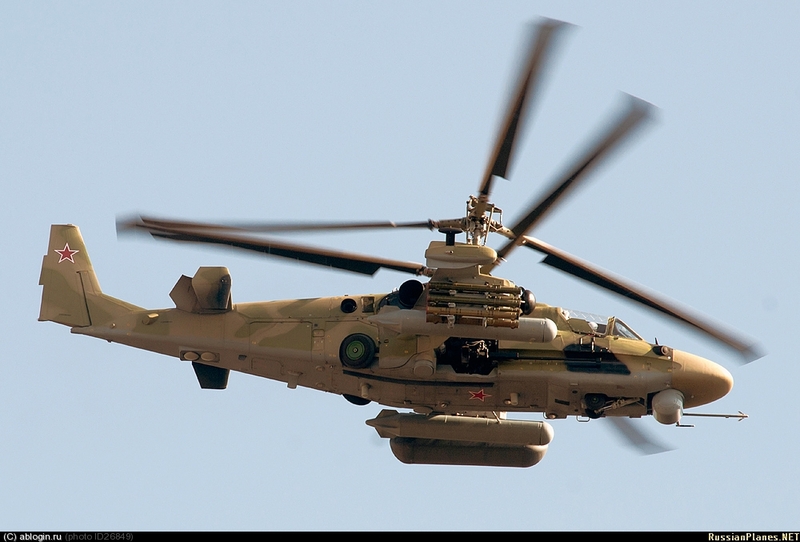 Russia’s Rosoboronexport Company has concluded its first contract to supply Iraq with the Ka-52 helicopters, RIA Novosti reported from the Le Bourget aerospace show that was opened on Monday citing a source in the Russian delegation. Speaking at a news conference, head of the delegation Alexander Mikheev said that the first contract to supply the K-52 helicopters was signed but did not mention the contract value and the country. The contract was signed with Iraq in the framework of the 2012 agreement, the source said. In 2012, Russia and Iraq concluded a contract to supply weapons and military equipment to a sum of $4.3 billion. 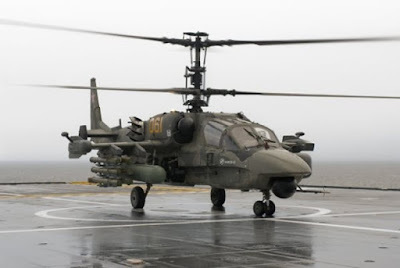 MOSCOW, May 22 (RIA Novosti) – Talks with foreign partners to purchase Russia’s Ka-52 Alligator attack helicopters will begin in earnest in 2016 or 2017, a representative of Russian arms exporter Rosoboronexport said Thursday. The Ka-52 was unveiled internationally at the 50th Le Bourget airshow last June. “This is the case of a prospect of 2016-2017,” Vladislav Kuzmichev told RIA Novosti at the HeliRussia 2014 expo in Moscow. Kuzmichev added that the the helicopter is currently being demonstrated to potential customers. The Ka-52 Hokum-B is a modification of the Ka-50 Hokum. It has a maximum speed of 350 kilometers per hour, a flight ceiling of 5,500 meters, and a range of over 1,000 kilometers. موسكو، 22 مايو -ريا نوفوستي. هذه هي حالة احتمال 2016-2017،" وقال فلاديسلاف كوزميشيف لنوفوستي في معرض"
وأضاف كوزميشيف أن المروحية حاليا يتم عرضها للعملاء المحتملين. آخر تعديل بواسطة TangoIII في الخميس مايو 22, 2014 6:30 pm، تم التعديل 3 مرات في المجمل. Iraqi Kamov 52 in Russia undergoing testing. hayder كتب: Iraqi Kamov 52 in Russia undergoing testing. آخر تعديل بواسطة صقر الذهبية في الاثنين إبريل 06, 2015 4:15 pm، تم التعديل مرة واحدة.